Real Madrid superstar, Cristiano Ronaldo, has said he does not plan on becoming a coach after he hangs up his boots and intends to “live like a king”. The Portugal captain’s future has been subject of intense speculation, but his agent, Jorge Mendes, insists he will retire at the Santiago Bernabeu. Ronaldo has now given a glimpse into to what will happen, when his playing career is over. “I have a top life, but I think I am going to enjoy it more when I finish my career, when I have time to do what I like,” he said. “This Saturday there is a boxing bout in Las Vegas and I would like to take my friends and family to see it, and I can’t because I don’t have time. 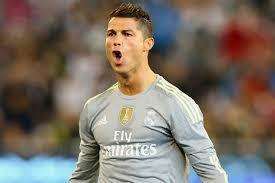 According to Forbes, Ronaldo is the world’s third highest paid athlete, earning around $80million a year. The 30-year-old says he will keep working on his brand rather than coach. “If you ask me now if I want to be a coach, I would say no. Nor a sporting director or president of a club,” he added.